The 'run machine' of Indian cricket team Virat Kohli had created a buzz in the media from last few days. First with his back to back double centuries against Islanders in the three-match Test series and then second when the news broke in media that the most celebrated couple of India Indian skipper Virat Kohli and Bollywood diva Anushka Sharma are set to tie the knot with each other in Italy this week. 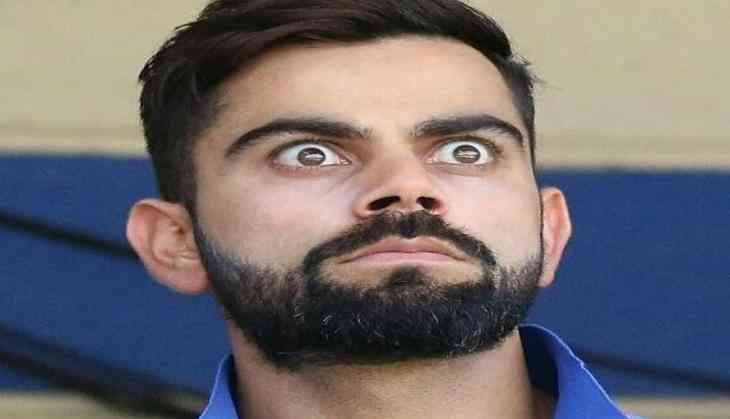 The rumours about Anushka and Virat's marriage start doing round on the internet after Virat asked the Board of Control for Cricket in India (BCCI) rest due to personal reason and he was granted. And in the absence of Virat, explosive Indian opener Rohit Sharma is leading the Indian squad in the three-match One Day International series. But in the first ODI against Sri Lanka suffered a humiliating loss to Sri Lanka at the Himachal Pradesh Cricket Association Stadium in Dharamsala on Sunday. When Virat was leading the team India in the Test series, men-in-blue had shattered Islanders bowling attack. But in the ODI same team in the absence of Virat was bundled out by Islanders for 112 in 38.2 overs. Team India's fallout at Dharamsala gave Twitterati opportunity to go to town and poke fun of the 'Men in Blue'.